Four times a year a group of writers from all over the Midwest and beyond gather to share writing and marketing tips. Often agents and editors are invited to share their expertise and take pitches from aspiring authors. The conferences are free to members, save the motel fee and food costs. Madison Woods, OWL friend and creator of Friday Fictioneers. My first time at a conference was in the summer of 2007. I’d “completed” PLEASE SAY KADDISH FOR ME and was interested in finding an agent. I really didn’t expect to find anyone in an organization with the word Ozarks to be interested in my Jewish historical novel. How wrong can a person be? I found not only interest but a group of generous mentors. 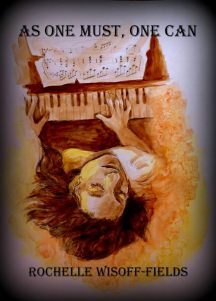 Each time I went to a workshop, I learned something new which precipitated a rewrite. One of the most significant classes was on how to pitch a book to an agent in five sentences. Over the years I’ve made some good friends and met people who have been instrumental in changing my life. The first is Lou Turner, founder of High Hill Press. In 2010, after I’d submitted short stories to ECHOES OF THE OZARKS and VOICES, two OWL publications, she invited me to compile my own anthology for HHP. 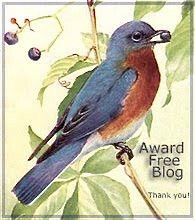 In the process I learned a lot from her short story editor, Delois McGrew. I’ve had the opportunity to pitch to and be turned down by a few agents until I met Jeanie Loiacono at the May 2012 conference. 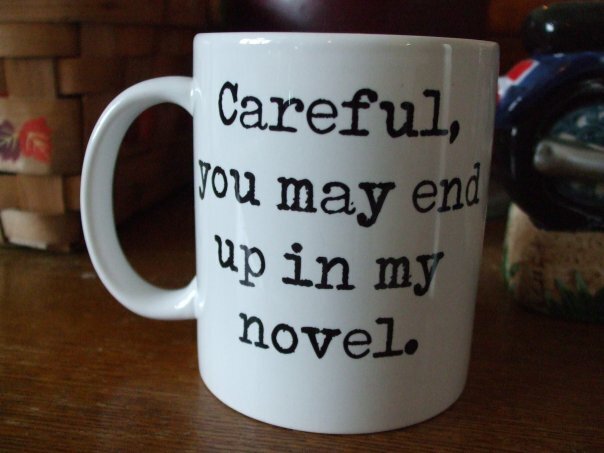 She now represents my two novels and is reading my third. When I joined OWL in 2007 I was in awe of the authors with their tables. Now in 2016 I’m blessed to have three books of my own and one on the way. Visiting old friends and meeting new ones made for a pleasant weekend. I was thrilled to see Lou and Delois. Jeanie was also one of the speakers. Hugs all around. OWL art and photo contest winners. My paintings took first and second place in the annual art contest. Alex Hess, an editor from Skyhorse Publishing in NY spoke to us about the ever changing face of the publishing industry. I hope to implement some of her suggestions on using social media in the not too distant future. President of OWL, Diane Yates, asked the two biggest hams in the group to open Friday night with entertainment. Ronda Del Boccio captured us on video. “More pogroms. And so close.” Rabbi Yussel Gitterman’s sightless eyes filled with tears. “Yes, Papa.” Arel knew from experience arguing with his father would not accomplish anything. Still his anger boiled because they were Jews who lived in poverty under the tyranny of the Russians. Prisoners in their own country, unable own land and denied education beyond their Hebrew schools. For the next few moments Yussel’s cane tapping along the frozen ground was the only sound. Each man lost in his own thoughts, they approached the synagogue, the largest building in the Jewish quarter of Svechka. To call a backward village “The Candle” was a contradiction. Arel supposed at some point in time the Russians considered it a place of enlightenment. To the best of my knowledge, the shtetl or village known in Please Say Kaddish for Me as Svechka only exists in the author’s imagination. Like Anatevka in Fiddler on the Roof it represents the many villages scattered throughout Eastern Europe during the 19th and early 20th centuries. Shtetl is Yiddish for “little town.” These villages ranged in size from several hundred residents to several thousand. The Jews usually lived within the town while the Gentiles tended to live on the outskirts. Central to the Jewish community was the Synagogue and Kahal, the community council. Most of the shtetl Jews were artisans and shop owners while the scholars were the revered minority. Both Arel and Havah, the children of rabbis, have grown up in their respective shtetls, Natalya and Svechka, as members of the elite part of their societies. 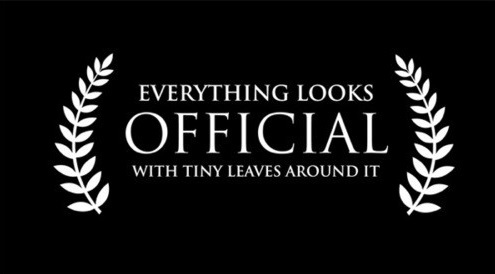 Enjoy a little taste of what their world was like. Note: If you’ve read and enjoyed either or both of my books, please leave a review on Amazon.com and any of the other sites. I ask for Amazon primarily because of the scope of influence. Thank you. Sol Mayer was born in Moldavia. When he was a child he moved to Poland with his parents who became successful shop owners. There he met and married his wife Zelda. Together, they immigrated to America where he owns Mayfair, a profitable dry goods store in Kansas City. By most standards the Mayers are wealthy. While Zelda enjoys all that money affords and is wont to put on airs, Sol never forgets his humble shtetl beginnings. Although he owns a mansion on Quality Hill, he would be happy in a shanty as long as he had his wife and daughter, Wendy, at his side. He is known by the community for fairness, generosity and a quick wit. In the following scene, Havah and Arel’s daughter Rachel is not quite two years old. The long narrow shop smelled of leather, licorice, and chocolate, but for the most part, it reeked of Sol’s cigars. Havah moved between rows of shelves filled with dolls, toy trains and stacks of canned food until she found the tooth powder. Behind the counter Sol Mayer smiled at her, his cigar clenched between his teeth. Smoke tendrils framed his bulldog jowls. He took a peppermint stick from a glass jar and held it out to Rachel who wriggled in her pram. “What she really needs is an n-a-p. But c-a-n-d-y might keep her quiet for a while.” Havah opened her coin purse. “Put your money away, Mrs. Gitterman. My treat.” Sol walked around the counter and knelt. He handed the candy to Rachel who popped the tip of it into her mouth. “What do you say to the nice man, Rukhel Shvester?” Havah snapped her purse clasp shut. Check out my author page on the Loiacono Website. 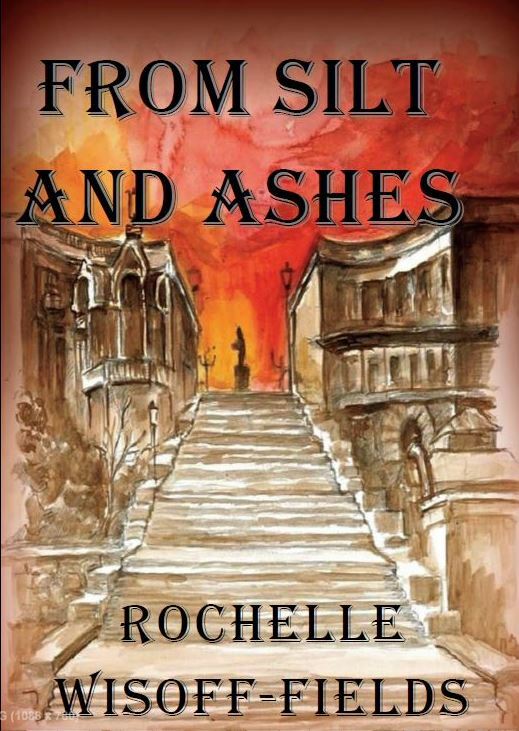 For all of the character studies thus far, click on the link Rochelle Wisoff-Fields Art and Blogs or my website RochelleWordArt. Although Havah’s older brothers, Mendel and David Cohen, perished at the beginning of Please Say Kaddish for Me, they are ever alive in her heart. Two very different personalities, Havah adored them both. 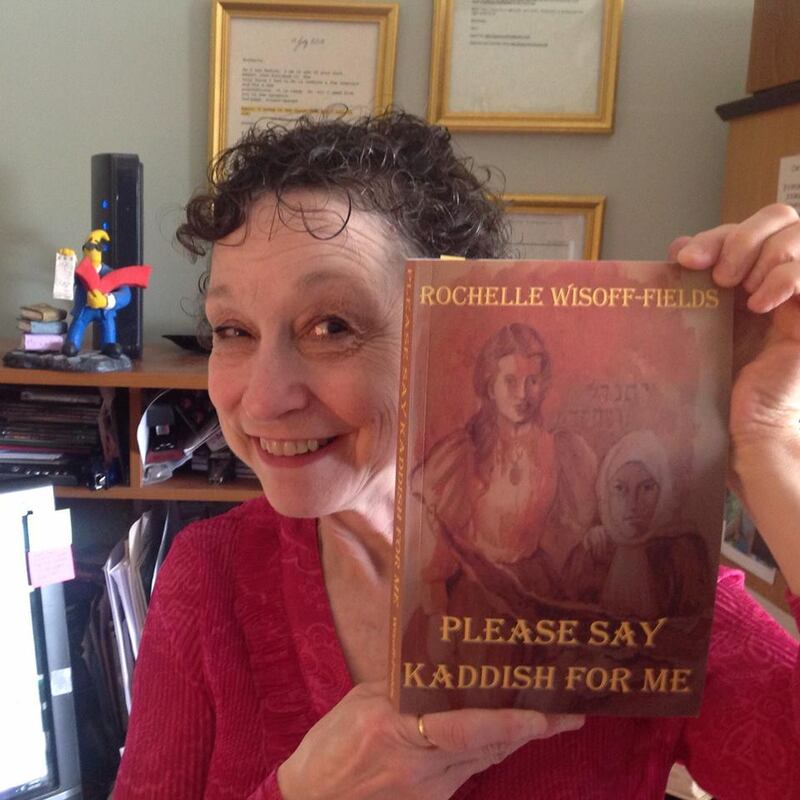 Her memories of them are a constant thread throughout Please Say Kaddish for Me, From Silt and Ashes, and the imminent third novel in the trilogy, As One Must One Can. Her eldest brother, Mendel, eight years her senior, wanted to follow in his father’s footsteps as a rabbi. By the tender age of twelve, Havah had developed the attributes of a young woman. Despite her disappointed protests, her father agreed with her teacher that her Heder education should come to an end. The boys would never learn Holy writ with such a comely distraction. Her brother Mendel became her lamed, her teacher. While she missed her classmates’ challenges, she enjoyed mornings with Mendel and flourished under his tutelage. A strict teacher, he never allowed her any leeway because of her gender or kinship. David, who was two years younger than Mendel, was a gifted artist. In Please Say Kaddish for Me, Havah tells Shayndel that he could paint a flower so real that you would swear you could smell its fragrance. David was the mischievous brother who mercilessly teased his little sister. She regrets that shortly before his murder, they had quarreled. “Were they the last words you spoke to him?” Fruma Ya’el unfolded a linen tablecloth, snapping it so it billowed and dropped to cover the table. 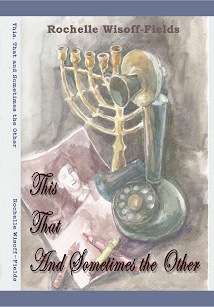 Each night of Hanukkah, Havah and her brothers took turns lighting the candles. Papa led the recitation of the blessings. To this day, when she heard distant thunder Havah swore it was Papa’s resonant voice chanting prayers in heaven. One year, her brother David, then twelve, ate so many macaroons he spent half the night in the outhouse. The next morning, fourteen-year-old Mendel, always the teacher, seized the opportunity to expound on the evils of gluttony. David’s green-tinged cheeks flushed while six-year-old Havah giggled into her napkin. Eyes wide, twins Jeffrey and Evalyne backed away from her. Sarah wished she could take back her harsh words. She had always made it a point never to raise her voice to them. After all they were only four. How could she expect them to understand? While they were outside playing tag and climbing trees, the postman delivered a letter from Arel that had been lost for almost two months. His detailed account tore her heart into pieces. Before she could explain to her son and daughter what had happened to those poor children in Kishinev, the front door opened. Wolf stepped over the threshold. Evalyne and Jeffrey raced to him. He scooped them up, one on each arm and spun them around. “Papa, the lights comed back on today and we gots water, too!” Evalyne always had to be the first to share whatever she knew. “Do you miss those boys and girls in Kishinev, Auntie?” Evalyne’s round eyes, brimming with curiosity, seemed to pop out of her slender face. “Would you miss your nose if it fell off?” asked Havah. Evalyne and Jeffrey Tulschinsky are Sarah and Wolf’s twin children. 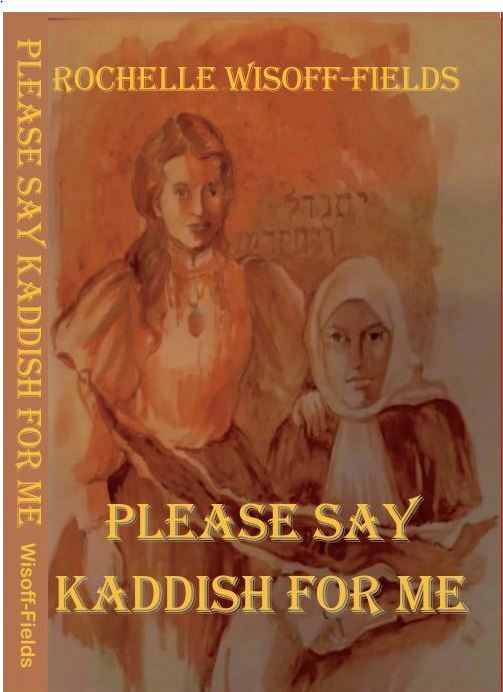 In the excerpt from Please Say Kaddish for Me they are five years old when Sarah receives a lost letter from Arel telling her about the Kishinev pogrom. The excerpt from From Silt and Ashes takes place a few months later, after Arel and Havah have settled in Kansas City. Evalyne is the more outgoing of the two children. Although Havah loves both children, she is drawn to the precocious little girl who is constantly asking questions. Evalyne (author’s mother) and Norman Weiner on their 15th birthday.